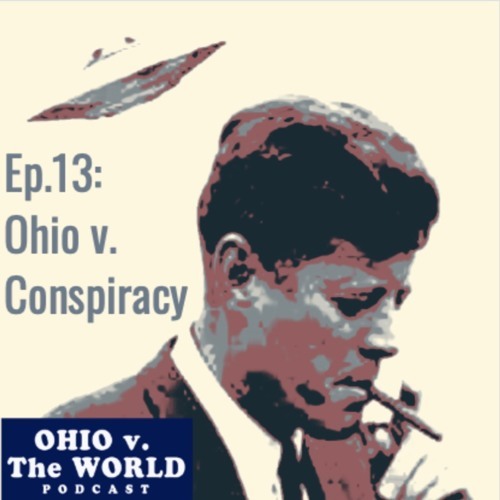 Episode 13: “Ohio v. Conspiracy” (Roswell, the WaterCar, JFK) We sit down 3 guests and discuss three of Ohio’s most fascinating conspiracy cases. First we meet with author Ray Szymanski and we talk about the connection between the Roswell UFO incident in 1947 and Wright Patterson Air Force Base in Dayton, Ohio. Ray, who worked at Wright Patt for 38 years, has traveled the world investigating the alien phenomenon and talks to us about Ohio’s connection to extraterrestrials. (4:30) Check out Ray’s book ‘Fifty Shades of Greys: Evidence of Extraterrestrial Visitation to Wright-Patterson Air Force Base and Beyond.” https://www.amazon.com/gp/product/1523383178/ref=dbs_a_def_rwt_bibl_vppi_i0 Columbus Dispatch reporter, Dean Narciso, joins the show to discuss the little known story of Stanley Allen Meyer and his water car. Alex and Dean look at the life and invention of Stan Meyer that could have changed the world until his untimely and suspect death in 1998 in Grove City, Ohio. (23:00) Lastly, we tackled the biggest conspiracy of them all: the JFK Assassination (47:30). JFK scholar, Lane Marcus, joins the show to examine the life and death of Cleveland, Ohio’s, David Ferrie. We analysis the connection between David Ferrie, Lee Harvey Oswald and the killing of our 35th President in Dallas, TX in 1963. Mr. Marcus describes a complex plot involving the Mafia, elements of the CIA and even LBJ himself that contributed to the death of President Kennedy. Special thanks to our guest and Chief Marketing Officer of the Ohio History Connection, Jamison Pack. (41:00) Jamison and I discuss the changing of the name to the OHC from the original name the Ohio Historical Society back in 2014 and the challenges of marketing in the history world. Go see the new Ohio: Champion of Sports exhibit at the Ohio History Center in 2019. Thanks to the support from our friends at GoBus! Go to www.ridegobus.com for more info on the intracity bus service in Ohio.